July 14, 2018, the new Mr. and Mrs. Roberts celebrated at their lively wedding reception after saying "I do"! 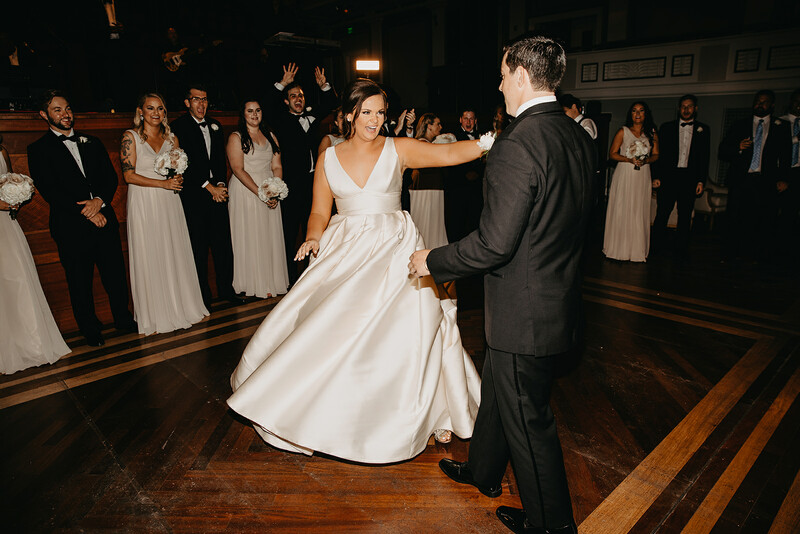 Following by a lovely wedding ceremony at the Scarritt Bennett Chapel, this excited bride and groom welcomed everyone to celebrate at the Schermerhorn Symphony Center. 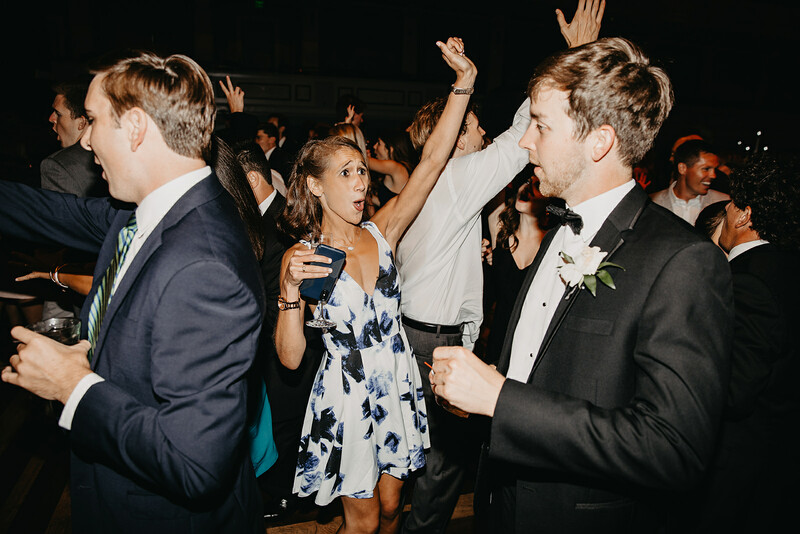 The Number One Party Band kick started the rocking reception after dinner with the bride and groom's first dance, captured by the amazing Janelle Elise Photography! 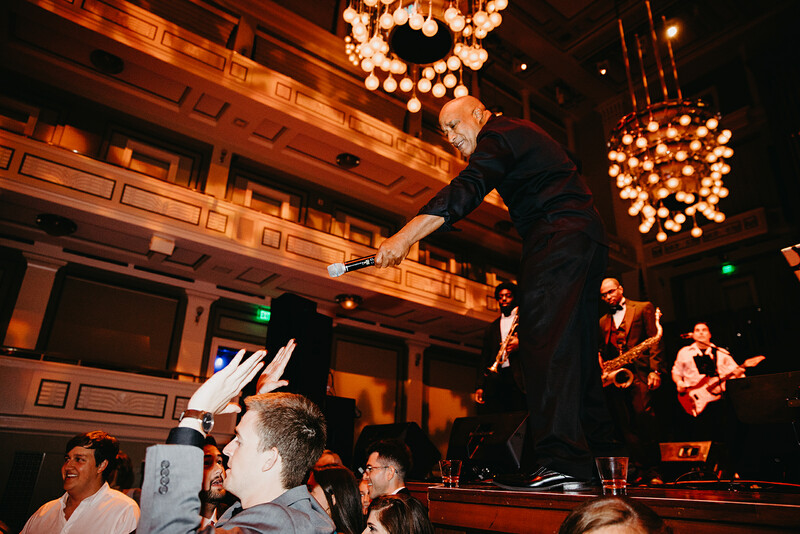 The Number One Party Band is a high-energy cover band, led by one of Nashville's top musicians, Erik Blue! This dynamic party band played all of the top hits and old favorites! 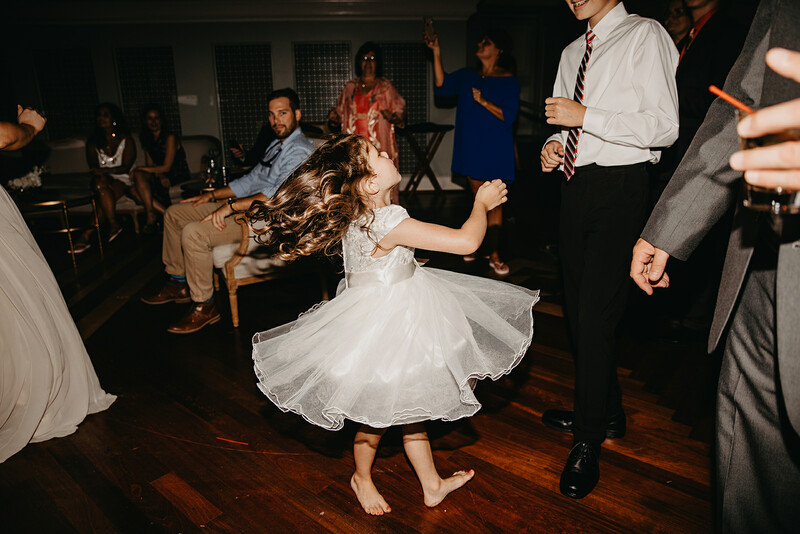 The crowd got on their feet and children were hitting the dance floor! Number One Party Band handed the mic off to the crowd so they could have a better experience. This variety, show band is always looking for ways to get guests involved and plays the Top 40 Hits of today so that everyone can sing along. Guests sang, danced and enjoyed all of the special moments as the Number One Party Band MC'd the nights greatest memories! 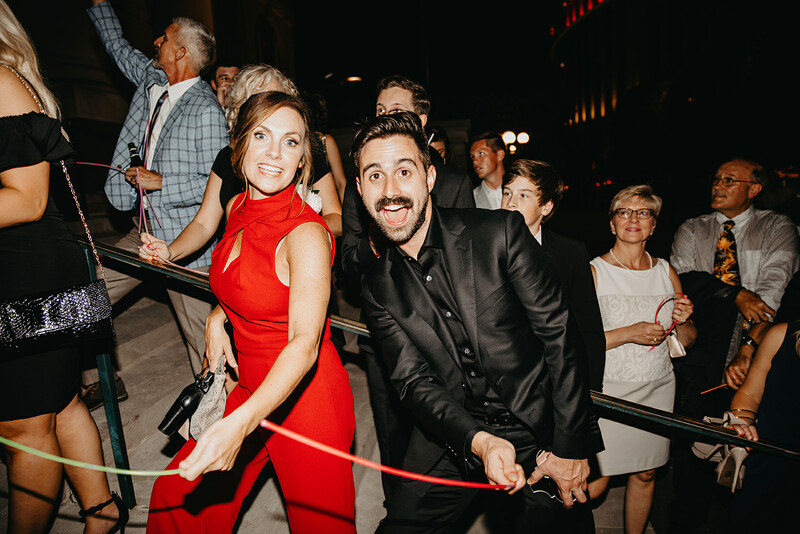 Time flies when you are having fun and before you knew it, guests started grabbing stacks of glow sticks to send the the bride and groom off to their grand exit! Shoutout to all of the amazing team members that made this exciting wedding reception come to life! Booking a live band through Prime Source Entertainment Group is easy. Listen to audio samples, read bios, watch video clips, read client reviews, visit our Facebook to see photos and reviews and compare live bands. 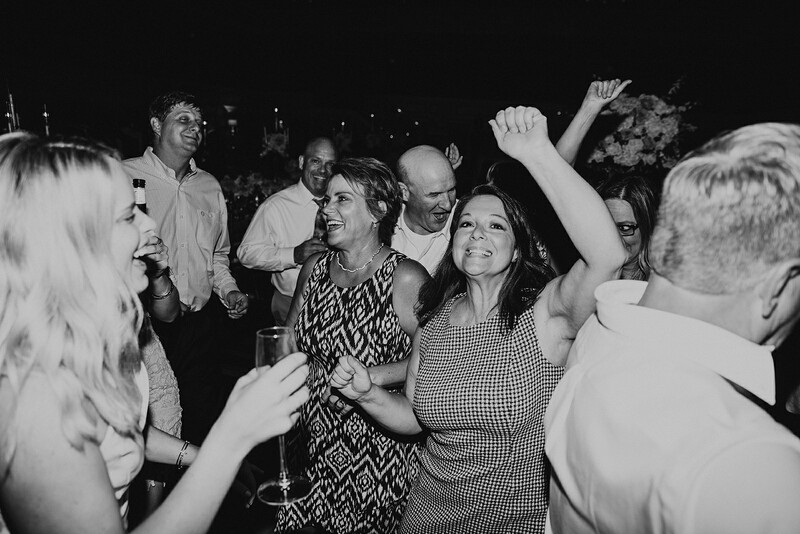 Prime Source Entertainment Group has been in business since 1988, and our wedding bands are so exceptional that they will make the difference between a normal wedding, and an unforgettable wedding. Strengthen your brand. High Quality Entertainment is key to your company's brand and image. 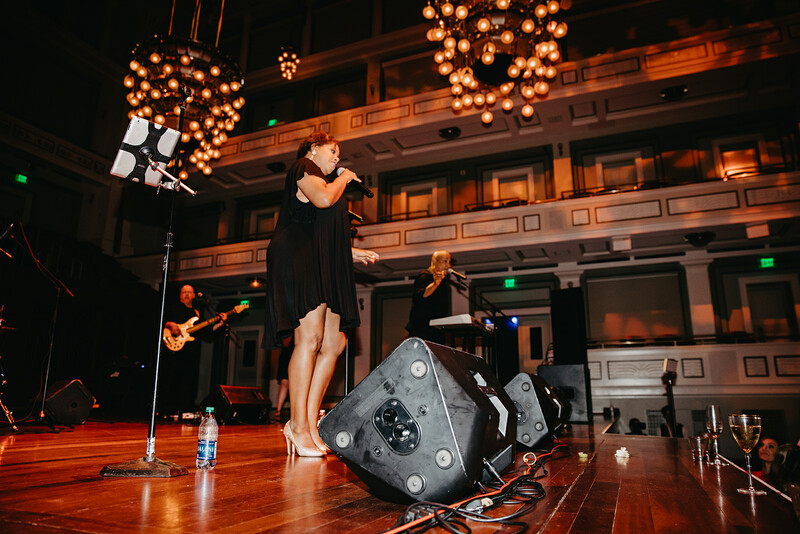 Prime Source provides corporate entertainers, speakers, celebrities, and comedians to make your event successful and memorable!